SuperMoss Sea Glass is a colorful, modern, and elegant top dressing for projects. 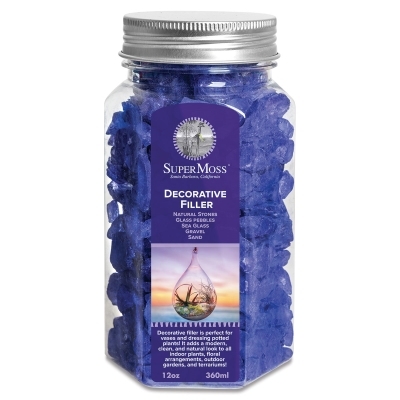 Use this decorative filler to arrange flowers, decorate succulents and potted plants, fill terrariums and vases, and more. Sea glass comes in a resealable 12 oz (360 ml) jar. For indoor and outdoor use.